In the process of the renewal of Beijing Hutong, there are few furniture products designed specifically for the current living conditions of the residents. For the Hutong courtyard, the presentation of a complete space just requires the placement of furniture. The “Symbiosis-Furniture Design and Regional Cultural Works Exhibition” is exactly the result of constant thinking of the architects when they renovate the Hutong Siheyuan. 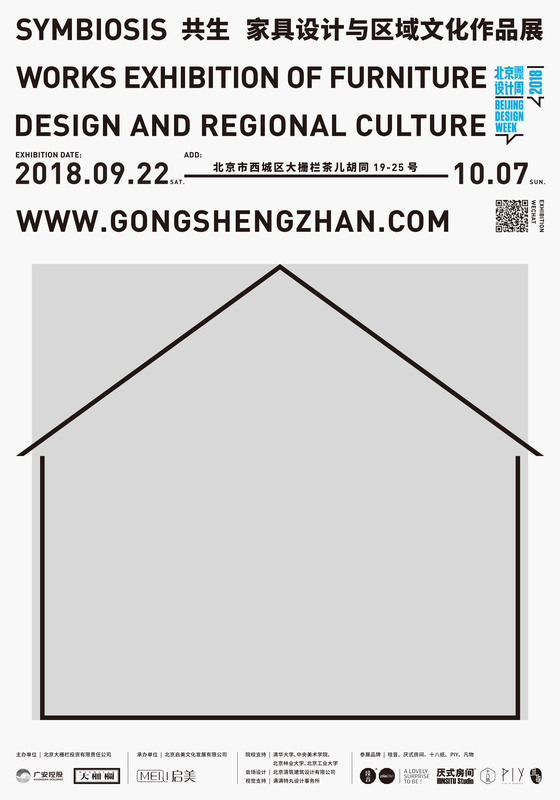 The exhibition will make full use of the unique Hutong venue in Beijing's historical and cultural districts, invite designers and college teachers to think about the integration of furniture design into regional culture, and provide exploring ideas for the symbiosis between modern designs and regional cultures in other fields. The exhibition specially invites teachers from Tsinghua University, Beijing Forestry University, Beijing University of Technology and Central Academy of Fine Arts as a support team for the exhibition. The support team will participate in the whole process of the exhibition to ensure the presentation of an exhibition with high quality, and to plan an academic, original and forward-looking collection exhibition. The exhibition has invited five well-known designer brands, which are PIY, ZIINLIFE, IIINSITU Studio, SHIBAZHI, and FINEWOOD, and they will present the theme of the exhibition from different angles.